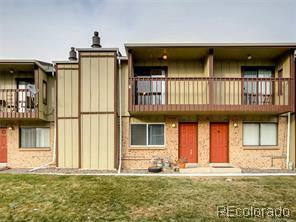 Spacious Updated Townhome with 2 Master Bedrooms; each have their own full bathrooms, Walk-in closets and Balconies. Large Living room with a cozy gas fireplace. Kitchen with granite counters, rimless sink, large pantry and Eat-in kitchen area. Hardwood flooring in the kitchen; laminate flooring in other areas. Finished basement with a big family room and non-conforming bedroom with its own bathroom. Detached garage and carport. Newer vinyl windows, furnace, and air-conditioner. Buyer to verify square footage.